Provo Fashion Week and Utah Fashion Insider are excited to collaborate with some of their favorite Utah bloggers to bring to you an exciting giveaway! They will be giving away 20 sets of tickets to their special invite only - VIP event on Friday, October 10th. This event is full of fashion influencers and industry specialists in Utah. You will be able to meet the designers who will be showcasing their collection on the runway AND you will also get to meet some of your favorite fashion bloggers, including all the lovely ladies who are participating in this giveaway, after the show at their networking event! Simply fill out the form below and follow these beautiful bloggers for a chance to win! Giveaway closes this Friday, October 26th at midnight. Giveaway open to Utah readers only (or those who will travel to Utah for the show). 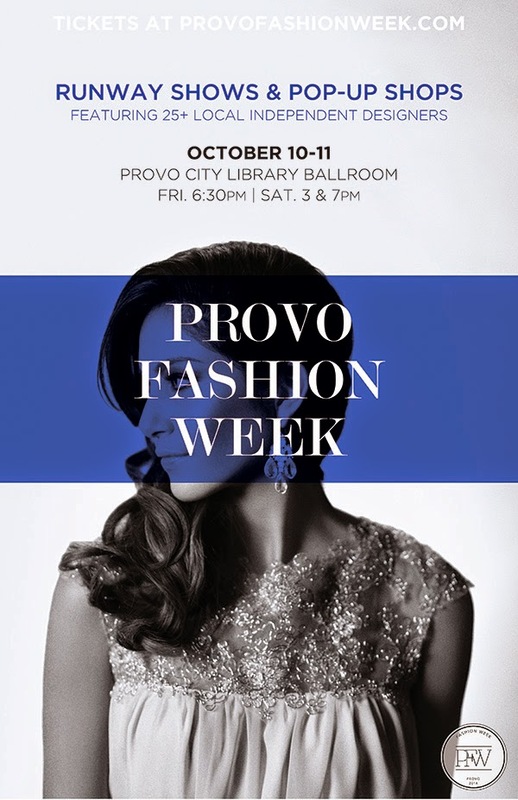 If you would like to purchase tickets to Provo Fashion Week's other runway shows, which are open to the public, on Saturday, October 11th - click here! To keep up on all the latest and for sneak peaks, Follow PFW on instagram and facebook! Enter the giveaway below and spread the word!